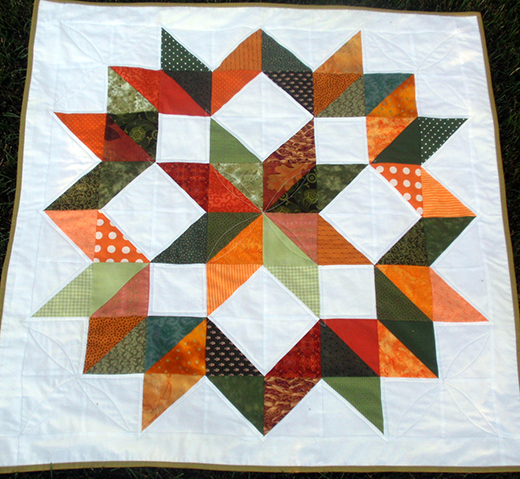 The block is a Carpenter’s Star, sized specifically for baby. You can cut scraps or use that charm pack that has been languishing on a shelf. Enjoy! The Tutorial by Deanna of Wedding Dress Blue, and it's available for free.